K-12 dance educator, Heather Vaughan Southard shares two very different ways she incorporates math and problem-solving into her dance education classes: dancing fractions and budgeting for a production. Next time you’re feeling bored with your choreography, try these classic “games” with your dancers. 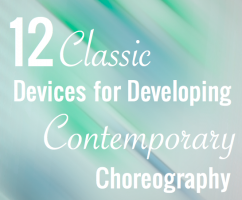 They’ll enliven a stale choreographic process, give your dancers ownership of the movement material, and provide some important learning experiences, too! Jenn Romano works with high school dance students and in two after school dance programs for at risk youth. 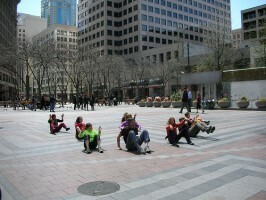 Jenn’s Top Three comes directly from her work, teaching dance composition in New Mexico high schools. She uses these “games” to practice improvisational skills as well develop student-generated choreography in her classes. Featured teacher, Caroline Creggan has been a qualified dance teacher for two years and is principal of her own dance school. Caroline Creggan Dance School (C.C.D.S) is based in Northern Ireland. In it’s second year, the school trains students for dance exams in Modern Jazz, Freestyle, and Choreography. 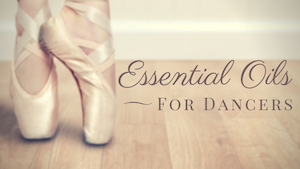 For her Top Three Caroline shares three activities that she uses regularly in classes for junior dancers to build their confidence and skills.